Bath companies will gain an insight into doing business in the nuclear sector in the UK and overseas at a major conference this Wednesday. The Nuclear South West Annual Conference will focus on collaboration in the industry and important international links – with a recent report by host organisation Nuclear South West revealing that the region is ideally placed to benefit from UK-wide opportunities worth £50bn. The research also stated that South West-based SMEs, large companies and training providers could supply £15bn worth of work to the nuclear sector. Industry leaders will give updates on these opportunities at the one-day conference in Bristol while attendees will also have the opportunity to find out more about important openings in the sector. Former Business Secretary Lord Hutton, who now chairs the Nuclear Industry Association and Nuclear Industry Council will kick off with a keynote speech detailing how the sector deal is positively impacting the growth of the UK industry. Ian Truman, a director in the Bristol-headquarters of national law firm Burges Salmon, will share his expertise on Brexit and exiting Euratom – the European Atomic Energy Community – head of stakeholder engagement at Hinkley Point C developer EDF Energy, David Eccles, will provide an update on the project, and David Ralph, CEO of the Heart of the South West Local Enterprise Partnership, will speak on the picture in the South West. 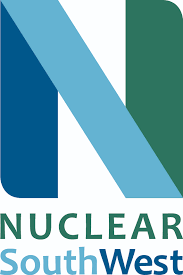 French company Nucleopolis will lead a business match-making session for companies interested in export and investment, following its recent partnership with Nuclear South West which aims to create jobs, unlock opportunities and attract new investment to both regions. Nuclear South West aims to establish further opportunities to build links with clusters in countries including Canada, Japan and South Africa. Nuclear South West chair Matt Burley said: “We have a stellar line up of speakers for our conference this year, and I am sure those who attend will be offered a unique chance to find out how the huge opportunities in the South West region, and UK wide, can help boost business. The conference takes place at The Mercure Bristol Grand Hotel in Broad St.